Mid to late summer is the peak season for backpacking. The high country is opening up, the snow is melted and the wildflowers are in bloom. You’re looking to head out on a backpacking adventure and need to get your gear organized. So, how do you pack your backpack? How do you keep the weight distributed correctly so you’re not falling over on a steep descent and you’ve got the most comfortable and logical packing strategy? We’ve got you covered. 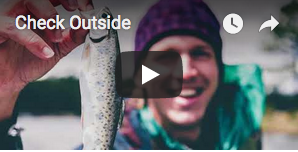 Read on for tips to organizing that pack correctly. When in the backcountry, trails aren’t flat or without obstacles. When you’ve got weight on your back that you aren’t necessarily accustomed to it’s natural to try to bend forward to alleviate some of that weight and maintain your balance. If your backpack is packed correctly and the weight is centered, you’ll be able to maintain your balance better and keep the weight positioned so that it’s the not burdening or uncomfortable. Your ultimate goal is to maintain an upright position and keep the weight over your center of gravity, which is near your hips. The heaviest and highest density items should be placed near or up against your back along the backpack’s back panel. This helps to keep the weight over your hips and near your center of gravity so that you won’t have to bend over to alleviate the weight. If the heavy items are placed too high in the pack, or too much towards the outside you’ll constantly feel that it’s working against your balance and this will require more energy and effort to keep your balance. Place the heaviest items just above center on your pack. This will maintain that the weight is over your hips. Too high will make everything top-heavy and likely hard to balance when you’re scrambling over rocks and logs. If heavy items are placed too low you’ll feel like you need to lean forward to maintain the balance and alleviate the weight and your back will soon be angry at you. It’s a good idea to keep items you may need during the day in outside and convenient pockets for easy access. There’s nothing more frustrating than having to pull everything out of your pack to grab your chapstick, phone or map. Keep your water bottle and a couple of snacks handy as well. Keeping the tent towards the center of the inside of the pack will help keep the weight centered. Your tent isn’t an item you’ll need during the day, so stowing it away isn’t a problem. If your poles are too long to fit inside the pack you can have them strapped to the outside of your pack. If you’re planning on a pretty long adventure your body will likely thank you for carrying a sleeping pad. This item can be one of the more bulky items, but is light-weight and can be placed either inside the pack if there’s room, or strapped anywhere on the outside. One option is to roll your sleeping bag inside your sleeping pad and strap to the base of your backpack. Most backpacks these days are designed to hold a sleeping bag in the bottom compartment of your backpack. You can strap it on the bottom if you don’t have a compartment, or place it in the very bottom of your pack with your tent on top. We’ve got all the gear you need for a backpacking adventure. If you’re flying into a backpacking destination, save yourself from hauling all the gear with you and have it shipped to your hotel or destination. We ship nationwide and you can rest assured you’ll have great gear when you get there. 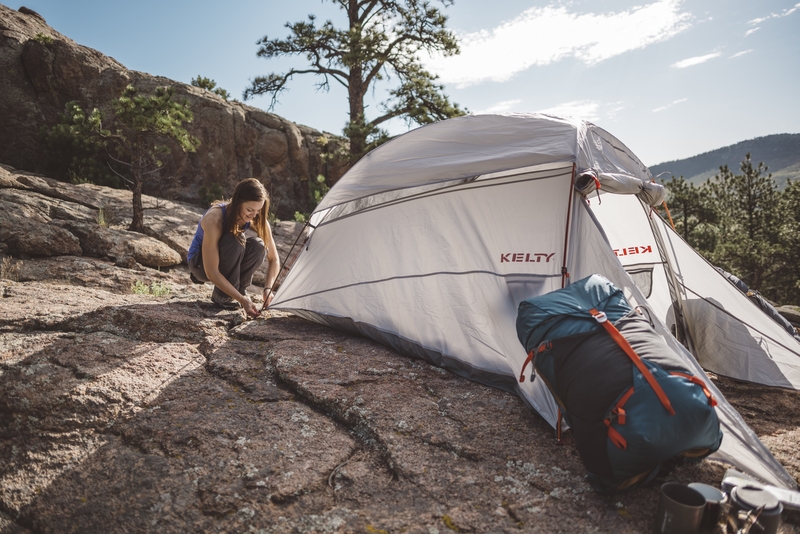 We carry a full line of Kelty camping and backpacking gear. It’s high quality, light weight and sure to get you where you’re going.